NextReports Blog: NextReports : charts inside reports. Till version 4.0 charts could be exported only as flash, needing an internal server to allow for previewing. 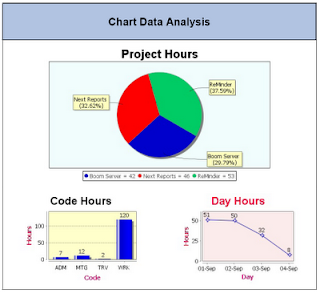 Because a chart image could not be created programatically, a chart could not be inserted inside a report. A chart element is similar to an image element, the only difference is that for chart the image is dynamically generated. So, a chart element can be resized similar to an image element.